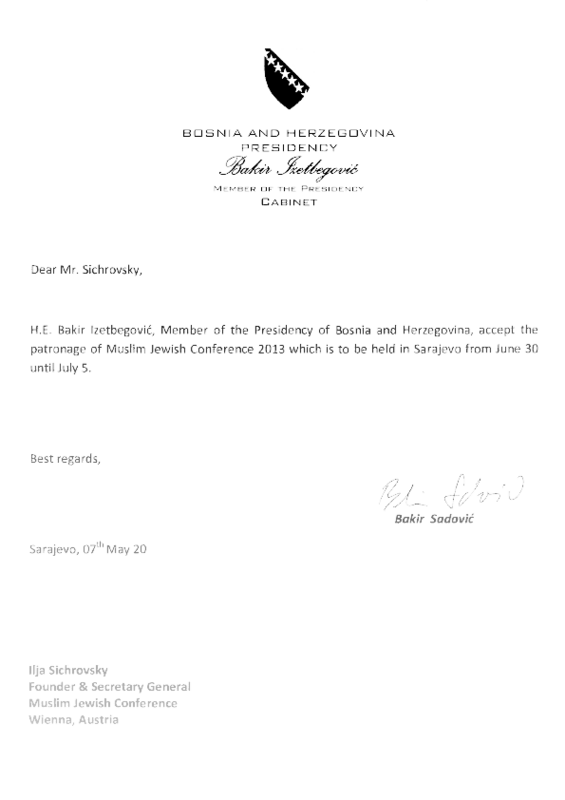 The Muslim Jewish Conference 2013 is proud to have Bosniak President Bakir Izetbegović as its patron. The conference is scheduled for June 30 – July 5 in Sarajevo, and will bring together around 100 young leaders from across the world to talk interfaith issues. Click on the MJC 2013 tab above for more information.